Michal Broš: It was a failure. Certainly, the goal was not to finish in the same place as last year. Of course, we worked on the analysis over the weekend and others are still waiting for us. The development of the season had its ups and downs. Some time is needed for the main output and a cool head with no emotion and some distance. Three days after the end of the season is too early. We wanted to go further than last season. The minimum goal was definitely at least the quarter-finals. Now we all have to absorb the early end and analyze how it could have gone better. Uwe Krupp: We’re all upset how the season turned out, and we are all fully responsible for this. Now we all have to absorb the early end and analyze how it could have been better. Vítkovice was a team we could have beaten. Unfortunately, we didn’t find a way to do that. Now we have to go through the good things and those that need to be improved. For the next three weeks, we will try to make the most of the ice we still have and prepare for the summer and next season. I liked the beginning of the season, the energy in the team, how we managed the period when we had a lot of injuries. I think it was within our capabilities to move up to around sixth place in the standings. At the end of the regular season we managed to win two huge games. We survived the tricky part of the season, but we weren’t able to replace key players and fell to a level that we can’t be satisfied with. Unfortunately, in the end we lacked the confidence we had at the beginning of the season. Michal Broš: Changes to the lineup have already started. All arrivals and departures are related to the main idea of rebuilding the roster. The trades were not enough, the original plan wasn’t either, but even with the development of the season, some steps were due to certain ideas about the future. I have some ideas, but they need to be considered thoroughly and with time. 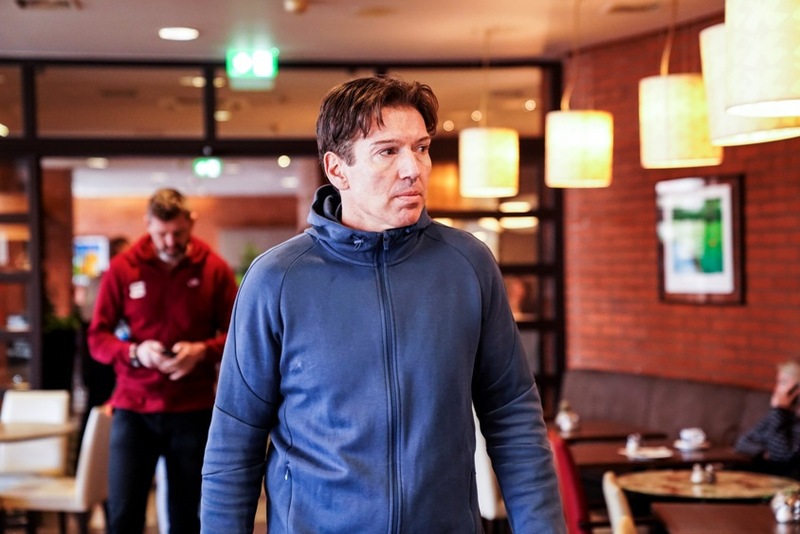 Uwe Krupp: Unfortunately, I have to say that we were not able to match the strongest teams in the league. We could measure with the other teams, but the best four were ahead of us. Michal Broš: He has a contract for next season. Considering other options are not on the agenda. Uwe Krupp: I´ve never been the one to throw a towel into the ring and run away from the fight. I have been in these kinds of situations as a player and coach in the past. We have to do some things better in all aspects. It´s easy to point to a player and say he should play better. Everybody needs to work better for the club, from players to coaches and management. We want to get Sparta to the top, but we must be humble, work as a team and all pull together. 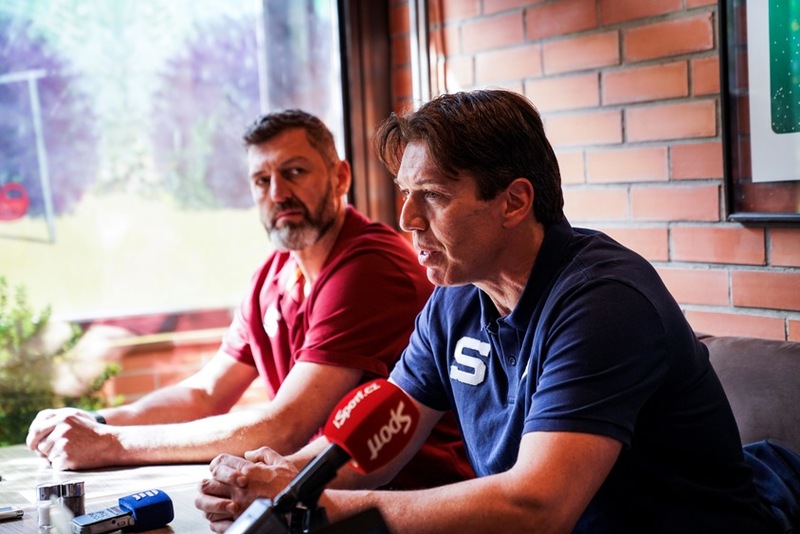 Michal Broš: It is soon after the season, it ended before we were ready. We’ve had a tough weekend. On Monday, we also met the players and all these things are on the agenda in the coming weeks. So far we have put together a program of what to do from this point right through to the start of next season. We want to get the most out of this period to be as prepared for next season as possible. Michal Broš: We had one of the youngest teams in the league. Youth is positive, it means potential, but the season is judged by the final placement. With a young player, you can work completely differently than with an older player, but the balance between youth and experience is important, and at certain stages, it turned out that youth was not enough. No one expected the young players to carry the team, no one wanted them to lead. On the other hand, I didn´t count on the season ending so fast. Kalina, Dvorak, Kostalek, Pavelka. If they stay together for three or four years, they could be a really powerful weapon when they gain the necessary experience. Jaroslav Nedvěd: We had productive defencemen who helped us offensively throughout the season when the forwards weren’t doing well. Unfortunately, in the playoffs we couldn´t do it. We also have one of the youngest in the league: Kalina, Dvořák, Košťalek, Pavelka. If they stay together for three or four years, they could be a really powerful weapon when they gain the necessary experience. I would like to see not too many changes on defence. Uwe Krupp: We have a lot of good young players in the team who will be even better next season. There are some experienced hockey players who can help them continue to improve. Michal Broš: Lukáš extended his contract for two years during this year and his future is not up to us. Overseas scouts are all around him. It depends on how the draft turns out, and whether or not he wants to go. This year he also went through the development in Litoměřice, where he had a lot of space and then he jumped into the A-team. I believe that he himself understands the succession in his career, but it depends mainly on the future he chooses. We would definitely like him to stay at least one more season. Michal Broš: The trade was not on the agenda until Petr himself came up with the idea that it was too much for him and we weren’t going to stop him from leaving. I didn´t want it to sound bad at the moment. He did a great job. The fact was that after my criticism there were a lot of positive things. Lukáš Pech then joined the team and was the team´s engine. We all hoped in the organization that in crucial moments, the leaders would take on more responsibility. There was nothing to criticize in character, but we just weren’t able to score enough at the end of the season. We saw Roberts Bukarts as a right-handed shot with the potential to put up some points and help improve our offensive output. That´s why we did it. If Petr Vrána himself did not come up with the possibility of a trade, it wouldn’t have happened. We had counted on him to finish the season as one of the leaders we relied on most. Michal Broš: So far we have been talking together in a smiling, friendly way. He is recharged after the season. I think that neither side expected where this would go. Our initial plan was to have him on the roster in case anyone got hurt. Vrchlabí had big plans with him, but in the end, he finished the season with us and was a big factor in winning the last game against Liberec. I hope that his time here will lead to the motivation of the younger ones who could see him during practices and serve as an inspiration to them. I don´t want to speak for Jarda yet. I played with him and I know that after the last few seasons he was thinking of retiring, but this year he found the motivation to return. We definitely don´t want to totally discount Jarda Hlinka from returning, but so far we haven´t spoken about next season. We’ll leave that till later. Uwe Krupp: We certainly did not expect Jarda Hlinka to be so great for the team. He was a positive injection for the whole team, mainly the young players and practices. He was great. I have to salute him. Uwe Krupp: We were definitely lacking in shooting efficiency at the end. We must now focus on bringing a quality centre and an experienced defenceman to help the team. But there’s no quick way to change everything, it must be a conceptual decision that can influence development in the long run. Sparta needs a long-term vision and to hold onto it firmly. Now we need to invest in players who are able to improve our game and have a vision. At the same time, we must not forget the young players and try to integrate them into our system. Now we need to invest in players who are able to improve our game and have a vision. At the same time, we must not forget the young players and try to integrate them into our system. Everyone must understand what Sparta means. This year we were often just plugging holes in the lineup. We have to find a better concept than we had this season. It would definitely help to get a right-winger into the attack. A significant part of the season was missed by Robert Říčka - it was a big loss both offensively and defensively, in which he also plays great. Bringing in a right-handed shot has been one of our transfer goals for a long time, but finding a player on the market is not easy at all. The reality is that the best players in Europe will go to Russia, then to Scandinavia, then to Switzerland, and admittedly, some players prefer the German and Austrian leagues. To get good players, we need to invest a great deal of money. Michal Broš: We watch all the player markets, we know about every interesting player thanks to the scouts. I am convinced that our team has a decent base that needs to be complemented by other high-quality players and at the same time to shift the potential of some of our current players to the next level. Uwe Krupp: Certainly players are more involved in a team that wins and has fan support. Now we have to find quality players who accept their role and will be willing to pull the team up again, which is certainly not easy. Uwe Krupp: I don´t think we were primarily a defensive team. Look at the games with Vítkovice ... We didn´t play bad hockey. We had more chances, we outshot our opponents 150 to 90. Our power play and penalty-killing were improved. I would have liked to have even harder to make our opponents play much worse.